Potato Chips Making Machine is a very good option for set up a Small Business at home. Everyone likes potato chips. There is good demand of potato chips in cinema hall, shopping malls, home etc. places all throughout the year. It needs Peeler Machine, Cutting Machine, Diesel Oven and Mixer Machine to make potato chips. At first you have to buy potatoes from the market. Then you have to peel off the skin of the potatoes with Peeler Machine. Now wash the potatoes with water. Then put the potatoes on the hopper of the Cutting machine and start the machine. Now wash the cut potatoes again in clean water. Then you have to xtract extra oil from potatoes with Oil Hydro machine. At last you have to mix spices and flavor with Mixer Machine. After packing it you can sell it in thee market. You can make about 100 kg potato chips per hour with this machine. It needs 1 hp motor and 220 volts to operate the machine. The price of the Potato Peeler Machine is approximately Rs.30,000. The price of the Cutting Machine is approximately Rs.30,000. The price of the Diesel Oven is approximately Rs.25,000. The price of the Oil Hydro Machine is approximately Rs.25,000. The price of the Mixer Machine is approximately Rs.25,000. 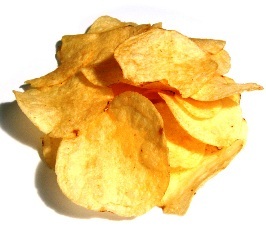 You can find many companies manufacturing a wide range of Potato Chips Making Machines. Their machine matches high technology electronic control.